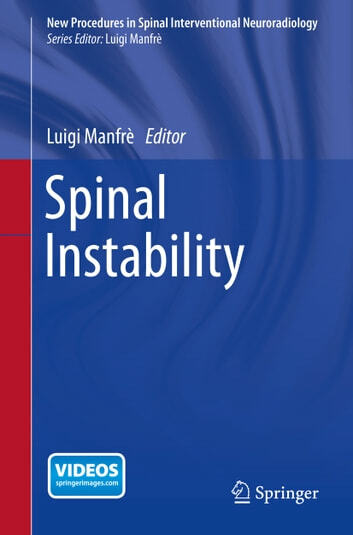 This easy-to-consult guide describes new minimally invasive procedures for the treatment of spinal instability that are accompanied by fewer complications and side-effects, reduce the risks of anesthesia, and lower costs. Clear accounts of a range of CT, X-ray, and MRI guided techniques are provided, including radiofrequency ablation in facet syndrome, cervical spine fusion, posterior and anterior lumbar spine fusion, and lumbosacral fusion. A brief but comprehensive introduction is included on biomechanics, relevant clinical syndromes, and diagnostic imaging. 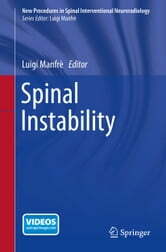 Like other books in the Springer series New Procedures in Spinal Interventional Neuroradiology, this practice-oriented volume will fill a significant gap in the literature and meet the need expressed by a large number of specialists (interventional neuroradiologists and radiologists, neurosurgeons, and orthopedists) for a topical and handy guide that specifically illustrates the presently available materials and methods.